Sonoma County is in Northern California. It's known for the Sonoma Valley wine region, as well as other notable winemaking areas such as the Dry Creek and Alexander valleys. The city of Sonoma is home to the 19th-century Mission San Francisco Solano and the central, colonial-era Sonoma Plaza. 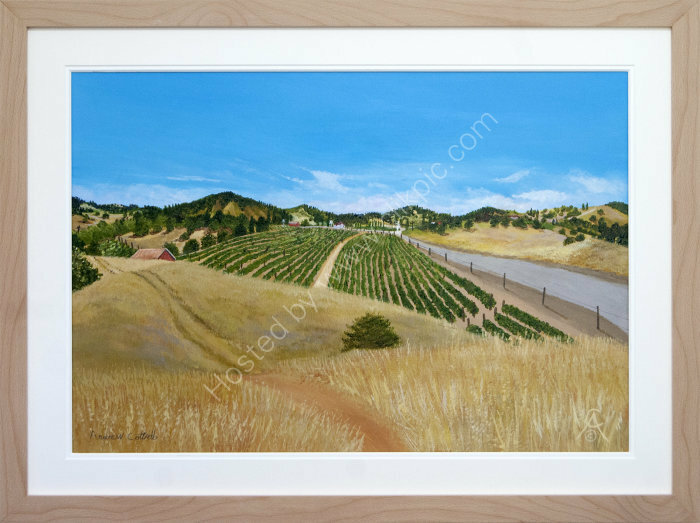 This artwork is inspired by our visit in the summer and the fields of vines growing in the summer sun.